Indian Wrestler Bajrang Punia on Sunday won the first gold medal in the 65kg freestyle men's Wrestling. Bajrang Punia defeated Japan's Daichi Takatani by 11-8. The match was full of the thrill as Bajrang Punia bagged 6 points in the first minute of the game and ended the match with a lead of 2 points over Japanese opponent. 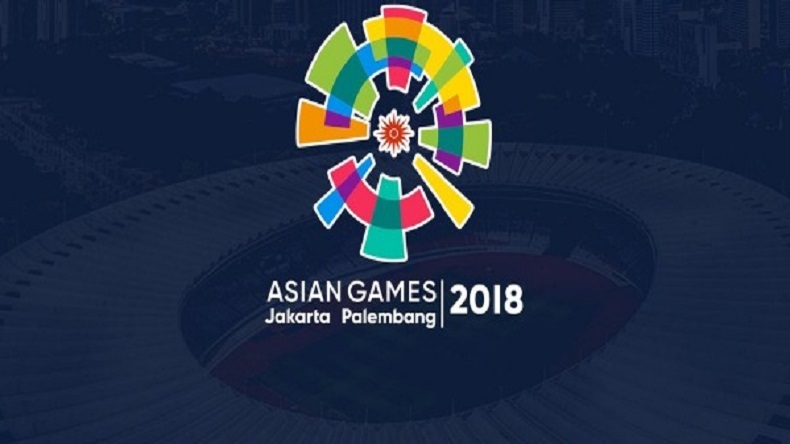 The Asian Games’s opening ceremony concluded on Saturday with Javelin thrower Neeraj Chopra leading the Indian contingent as the flag bearer. India has a busy day on Day 1 of Asian Games 2018. Wrestlers Sushil Kumar and Bajrang Punia, the men’s badminton team led by HS Prannoy and Kidambi Srikanth, the Indian women’s hockey team, 10m rifle and pistol shooters will all be in action on August 19. 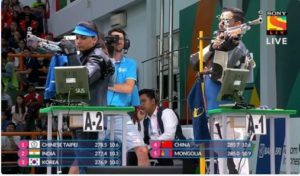 On day 1 of the Asian Games 2018, Indian shooters have impressed in the 10m Air Rifle Mixed Team event with Apurvi Chandela and Ravi Kumar bagging bronze in 10m event final. 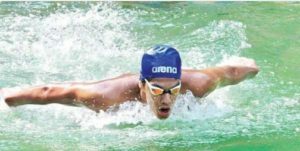 Indian swimmer Srihari Nataraj has qualified for men’s 100m Backstroke final, while Rower Baban Bhokanal Dattu is set to compete in the Repechages event of the Men’s Single Sculls. Indian women’s Kabaddi team also performed as per expectation, beating Japan in their first game. 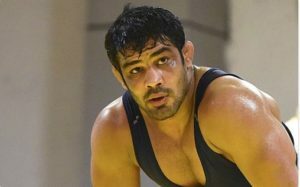 However, big blow for India came in Wrestling, Sushil Kumar lost his bout in men’s freestyle 74 kg qualifications and is out of contention for the gold medal. Ace shooter Manu Bhaker also crashed out in 10m Air Rifle mixed team event. 08:45pm| In the fight for the bronze medal, wrestler Pawan Kumar faced a defeat in the men’s 86kg freestyle event against Mongolia’s Orgodol Utiumen. India’s action comes to an end with this last event of the day. 08:00pm| Indian women’s hockey team registers a thumping victory against the host Indonesia by 8-0. 07:50pm| Former cricketer Virendra Sehwag congratulates Bajrang Punia on Twitter says proud of you. 7: 45 pm| After beating Japan’s Daichi Takatani by 11-8, Indian wrestler Bajrang Punia clinched a gold medal for India in the 18th edition of Asian Games 2018. 7:40 pm| Indian Wrestler Bajrang Punia won the first gold medal for India in Asian Games 2018. 7: 30 pm| Indian wrestler Bajrang Punia bags six points in the first minute of final against Japan’s Daichi Takatani. 7:10 pm | Indian women’s hockey team ease past Indonesia 6-0 in a lung-opener game. Gurjit Kaur scored a brace to help India register the huge win. 6:25 pm | Wrestler Bajrang Punia remains India’s only hope for gold on day 1 at Jakarta. 6:05 pm | After beating Bangladesh in the morning, the men in blue cruise past Sir Lanka 44-28 in their 2nd group match. Just in: Kabaddi | Indian Men beat Sri Lanka 44-28 in their 2nd group match. 5:40 pm | Indian Women’s Volleyball lost 17-25 11-25 13-25 against Korea in a Pool B contest. 5:30 pm | India are leading in the first half however Sir Lankan are not letting them get away. The men in blues had a jittery start but they have managed to comeback. 4:40 pm | Another medal prospect for India as Pawan Kumar will walk onto the mat in the bronze medal match! 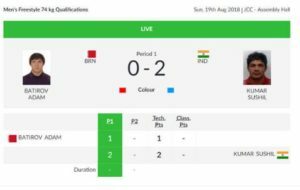 4:00 pm | After Sushil Kumar’s shocker, wrestler Mausam Khatri loses to Ibragimov Magomed of Uzbekistan in the Men’s 97kg wrestling quarterfinal while Pawan Kumar also is now out of the gold-medal race as he lost to Hasan Yazdanicharati of Iran in the Men’s 86kg wrestling quarterfinal. 3:30 pm | Big blow for India, Sushil Kumar crashes out of medal contention as his opponent fails to qualify for final. 3:00 pm | Sandeep Tomar loses in the quarterfinals of 57kg freestyle wrestling category, while Bajrang Punia enters 65kg wrestling semifinals after winning by technical superiority again. 12:40 pm | After India bagged its first medal in shooting, all eyes are on wrestling. Sushil Kumar and Bajrang Punia along with Sandeep Tomar, Pawan Kumar, Mausam Khatri will be seen in action today. 12:30 pm | Shooter Manavjit Sandhu finished on top in Men’s Trap Qualification, while Lakshay was ranked on the fifth spot in the same event. 12:20 pm | Rower Baban Bhokanal Dattu set to compete in the Repechages event of the Men’s Single Sculls. 11:40 am |Chinese Taipei lead in 10m Air Rifle Mixed team event, Indian Shooters at 2nd spot. 11:30 am | 10m Air Rifle Mixed Team event has started. Apurvi Chandela and Ravi Kumar will look to clinch first gold for India. 10:50 am |Wrestlers including Sushil Kumar and Bajrang Punia are among the top contenders for gold at the opening day of Asian Games 2018. 10:00 am | Big blow for India, Manu Bhaker and Abhishek Verma scored a total of 189 in the first series in 10m Air Pistol mixed team qualification event and failed to qualify for the medal round. 8:50 am |Facing Chinese Taipei on Sunday, in Women’s Basketball match, India go down 84-61 against the tall team. They will next face Unified Korea and hosts Indonesia on August 20 and August 23 respectively in the basketball 5×5 in the preliminary Group A. 8:20 am |India thrashes Japan 42-12 in Women’s Kabaddi paving way to the next match.